THANK YOU ALL FOR AN AMAZING EVENT! 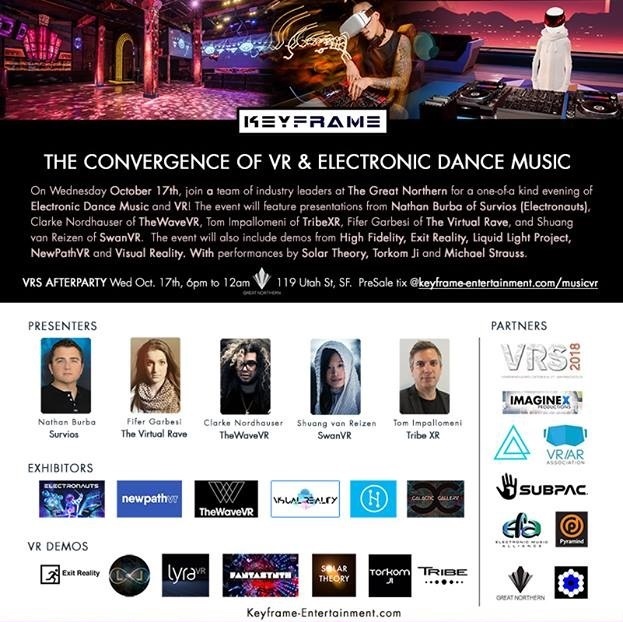 On October 17th, 2018, @The Great Northern in SF, Keyframe showcased the intersection of VR and Electronic Dance Music with talks from Nathan of Survios (Electronauts), TheWaveVR, TribeXR, The Virtual Rave and SwanVR. 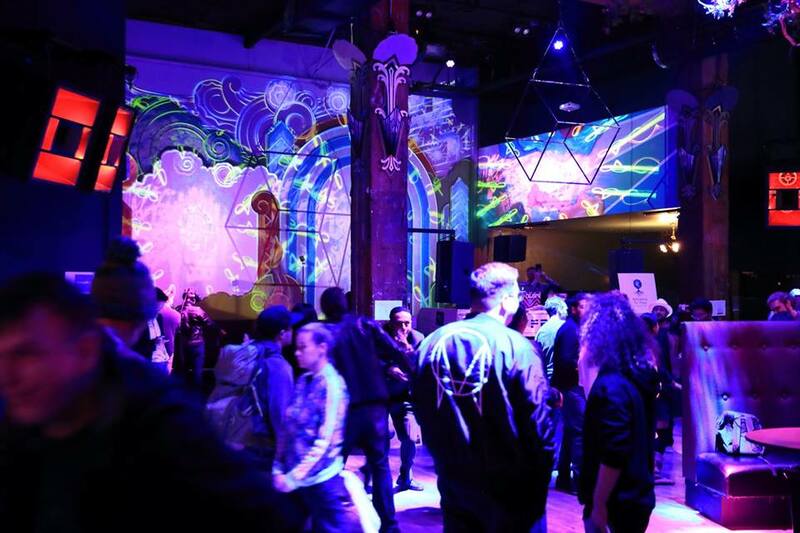 The event included demos from High Fidelity, Exit Reality, Liquid Light Project, NewPathVR, Visual Reality, and performances by Solar Theory, Torkom Ji, and Michael Strauss. 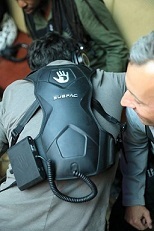 The event had Media Support by SUBPAC, Pyramind, Chronos Global Academy, VRARA, EMA, and VRS Conference. We look forward to making this a multi-city event in the near future; please contact us to become a Sponsor! Nathan is the Co-Founder and President at Survios, a virtual reality company headquartered in Los Angeles, California. The company develops virtual reality software and games including the titles Raw Data, Sprint Vector, Electronauts and Creed: Rise To Glory. It also operates Survios branded Virtual Reality Arcades and a worldwide VR software distribution network operating in 36 countries. Since its inception in 2013, the company has raised over $54 million in venture funding led by Shasta Ventures, Lux Capital and Metro-Goldwyn-Mayer Studios. Before founding Survios, Nathan was the Director of Product Holodeck, a joint research effort between the Mixed Reality Lab and the Advanced Games program at the University of Southern California. Known to most as video game DJ and remixer GRIMECRAFT, Clarke Nordhauser has operated within the music and games industry for over 5 years. Under a plume of poofy hair the former Harmonix artist turned international touring DJ fused a passion for music and games into a unique creative career. He has lent his artistic efforts to award winning AAA game studios such as Crystal Dynamics and Insomniac Games, as well as managed A&R for independent record label GameChops. TheWaveVR is the world’s first social VR platform and community that provides new ways to experience, create and share music and visual arts. TheWaveVR collaborates with artists across a variety of genres to bring social VR experiences to a growing community of people, helping them find new friends and discover new music and artists. The company is pushing the boundaries of VR, enabling new musical and visual experiences that currently do not exist anywhere else. 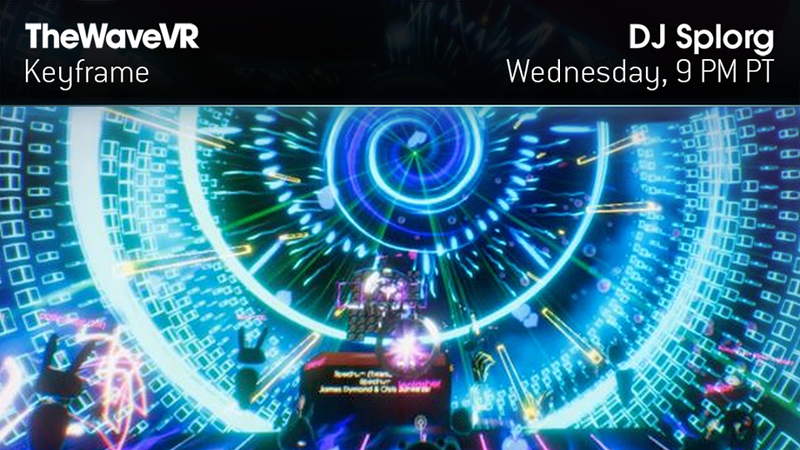 TheWaveVR harnesses the power of VR to amplify the potential reach of music and art while defining a new path for musicians and artists to offer their music. TheWaveVR is based in Los Angeles, CA and Austin, TX. Tom is a serial startup founder and operator, having built and co-founded startups including SuperAwesome, Tom is an advisor to startups including FireTech Camp (technology camps for kids & teens), Aflete (influencer marketing) and Pyramind (Music School). Tom is an expat Brit, living in the Bay Area and is fascinated by frontier technologies, especially Virtual and Augmented Reality and their practical applications. VRtist experimenting with embodying flow and dance in alternative realities. Her global debut was from her “If You Want to ESCAPE with Me” Beat Saber video that went viral to over 100 million views. She collaborates with other developers and creators such as Android Jones in creating compelling videos to engage new people not familiar with VR. ** The Galactic Gallery is an award winning aesthetically driven interactive Virtual Reality Art Gallery which explores intersections between traditional art and new media. The experience allows you to interact and go inside of the art. It’s a fully immersive experience available on STEAM for the HTC VIVE, Oculus, and Microsoft Mixed reality platforms. ~~ The Galactic Gallery, the 2nd place winner of the Arts & Culture Viveport Developer Award. ** VISUAL REALITY (Los Angeles) is an immersive art collective bridging the gap between technology and consciousness. They produce events and design experiences that open hearts, lift spirits, and blow minds. Visual Reality is an immersive event production company and new media art collective with an eye on a positive future for humanity. We create environments that facilitate deep inner journeys, as well as community building social connections. 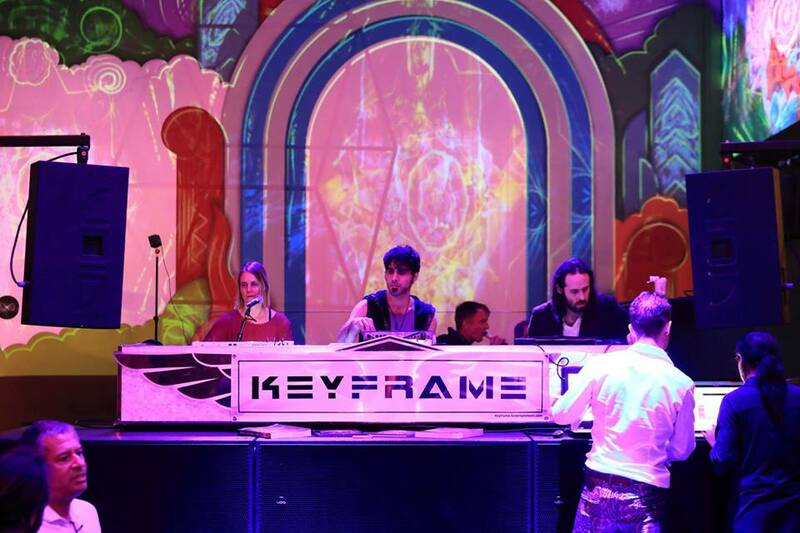 Torkom is a sound healer and electronic music producer from Los Angeles. He has been facilitating group sound healing experiences since the summer of 2012, and has provided deep meditation and rejuvination for thousands of people using his unique and powerful modality. He will be guiding people through live Quantum Harmonix sound healing sessions which also utilize SUBPAC for a more immersive and felt experience. ~NAGA is a 360 degree audio/visual experience created by Michael Strauss Visuals with soundtrack by David Starfire Music. Liquid Light Project will be presenting the mixing and unification of an audio-reactive dreamscape you can interact with – blurring the line between art, music and world design inside a game engine. You are invited to explore and get pleasantly lost in a meditative experience enhanced with the power of kinetic haptic-bass feedback – subwoofer worn on your back – from SubPac. Be immersed in a transcendental experience that brings your music to life. Use your own music and watch the environment react. Play music in any music player and MIRAGE will listen and respond. This is a world-class music visualizer. Witness the reflections of sound across a visual landscape. 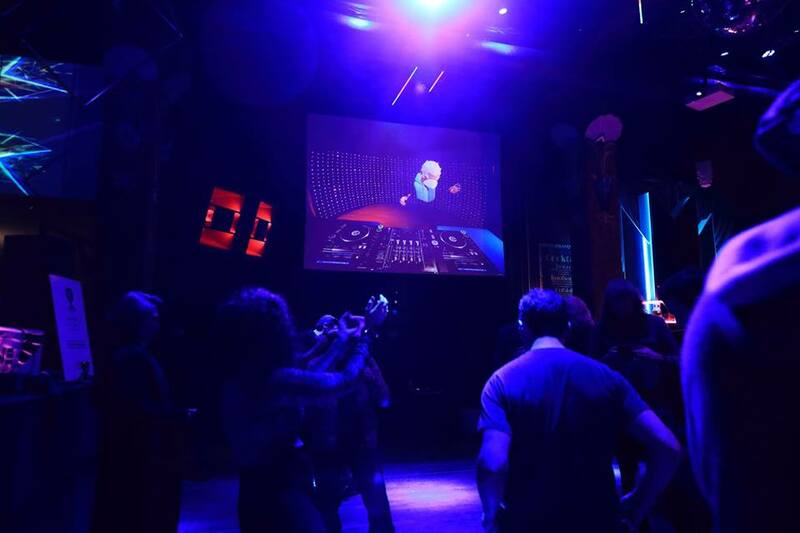 ** High Fidelity’s Rust VR nightclub: Rust is a virtual night club where real DJs come and perform their own sets live. ~ High Fidelity has developed an open-source application for building and deploying virtual environments (domains) to desktop and server computers. The virtual domains are designed to be social and interactive, meaning they allow for the real-time addition, rearrangement, and gross modification of 3D assets simultaneously by multiple users. Our goal is to deploy an open, flexible platform for a variety of VR applications rather than a specific, narrow VR experience. They exist to deliver the ultimate VR experience! Opening the VR Channel by meeting the consumer where they are, and by empowering creators to reach a greater audience. Exit Reality make VR accessible anywhere. Chez Nous is an audio-reactive experience designed for Virtual Reality. Glide through a procedurally populated environment that comes alight with electronic music by French producer N’to. 2. LYRA – http://lyravr.com/ – LyraVR is a music creation platform for musicians and fans to share, play, and compose in a fully interactive virtual space. 3. AUDIOSHIELD – http://audio-shield.com/ – Block the beats! Audioshield puts you at the point of impact for every hit in your songs. Block incoming orbs with your shields and feel the music. Works with any song! 4. TILTBRUSH – https://www.tiltbrush.com/ – Tilt Brush lets you paint in 3D space with virtual reality. Unleash your creativity with three-dimensional brush strokes, stars, light, and even fire. Your room is your canvas. Your palette is your imagination. The possibilities are endless. The two universes of Torkom Ji and Divasonic collide to form Solar Theory, their collaborative electronic performance and production project. Torkom and Lyndaweave deeply mystical and spiritual compositions. Lynda’s vocal and instrumental musings about the universe and evolving consciousness, stories of our journey through time, space and love through connection to source, float over Torkom’s signature 432Hz electronic grooves and soundscapes. October 16-17, 2018 , San Francisco, CA VRS is the annual executive conference produced by Greenlight Insights, the global leader in virtual and augmented reality market intelligence. EMA’s vision is to advance communities through environmental-humanitarian activities and events. 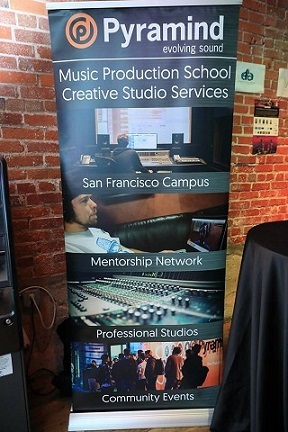 We provide a platform for the Electronic Music community to connect and give back. Connecting people in the electronic music community who want to Play it Forward: superstar music and event producers, DJ’s, production crew, performers, artists, industry vets, and fans from every walk of life are welcome. ImagineX Productions inspires positive global impact by creating innovative experiences. ImagineX Productions design and curate unique experiences that inspire community, connection, and creativity. Collectively, their team has decades of experience ranging from Corporate Conferences to Music Festivals, from Hackathons to Fundraisers, and Hiring Mixers to Fashion Shows. ImagineX has worked with clients such as Twitter, Dev: Network, HardwareCon3, Developer Week, Symbiosis, Northern Nights and many more.